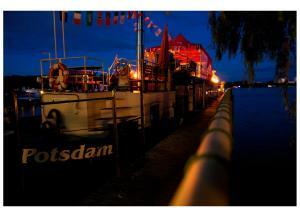 Drop anchor and experience a holiday with a difference in this guest house which is idyllically housed on a boat docked in Potsdam. 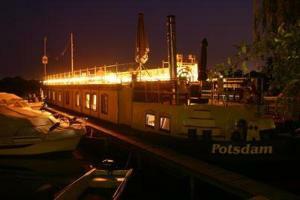 The Schiffspension Luise is on a renovated boat which was originally built in 1907. It combines its proud past with all present-day comforts. Sit by the fireplace, while enjoying modern heating, insulation, sanitation, broadband internet and satellite television. You will appreciate the cosiness of your single or double cabins. Live out your maritime dreams to the full. There is simply no better view of the beautiful gardens and castles of Potsdam, the capital of Brandenburg, than from a deckchair on the spacious deck of this boat.